TCT 2013: Late Breaking Clinical Trials III – Thursday, October 31, 2013. 10:20–10:32 P.M. – Main Arena. biocompatible durable coatings are efficacious and safe. complex lesions but might be longitudinally less stable. no such data were available for Resolute Integrity. 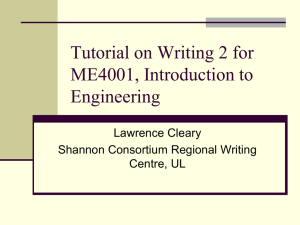 is similar following randomized use of both DES. Zwolle, NL. Processing of clinical outcome data and independent external adjudication of clinical events (CEC) by CRO Cardialysis, Rotterdam, NL. Control angiography only if clinically indicated. Analyses based on intention-to-treat. 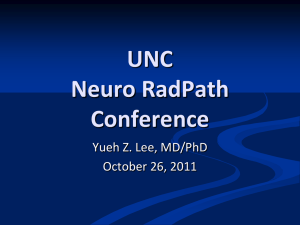 Tandjung et al. 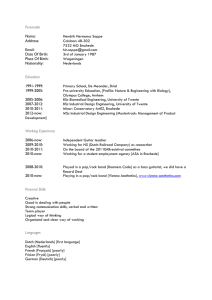 DUTCH PEERS: Study design and rationale. Am Heart J 2012;163:557-62.
von Birgelen et al. DUTCH PEERS. 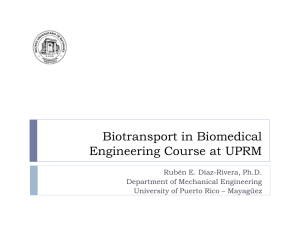 Lancet – in press. adjudication (CEC) was performed by CRO Cardialysis, Rotterdam, NL. Analyses were based on intention-to-treat. Data are frequencies (%) or mean (SD). No significant difference between study groups. * Serum creatinine level ≥ 130 μmol/L. * Thrombus triggering use of thrombus aspiration catheter. 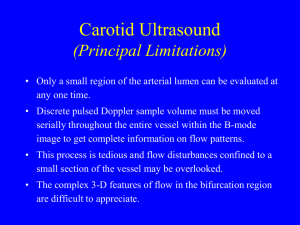 At least one small-vessel (RVD < 2.75 mm) tr. Data are frequencies (%). No significant difference between study groups. 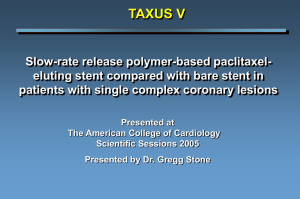 * Including chronic total occlusion, but not grafts or in-stent restenosis. Data are frequencies (%) or median (IQR). with the log-rank test. Non-inferiority testing was based on chi-squared analysis (blue panel). of Target Vessel Failure (TVF). periprocedural MI (PMI) with max. CK levels ≥ 5x the ULN; all other PMI had max. CK levels < 5x the ULN. Events displayed in the graph were calculated by Kaplan-Meier methods and compared with the log-rank test. TV-related MI was defined by the extended historical definition (Vranckx et al. (ARC), EuroIntervention 2010;5:871-4). Target Lesion Failure (TLF): cardiac death, target lesion-related MI & clinically indicated target lesion revascularization. indicated target vessel revascularization. Major Adverse Cardiac Events (MACE): any death, any MI, clinically indiicated TLR & emergent CABG. 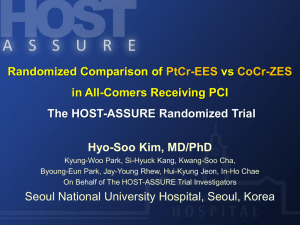 Patient-Oriented Composite Endpoint (POCE): any death, any MI, any PCI & any CABG. VKA=vitamin K antagonist; DAPT=dual antiplatelet therapy. (0.66 %) of the Promus Element stent group (P = 0.51). 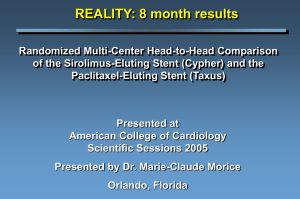 There was no definitive stent thrombosis beyond 3 months. test. 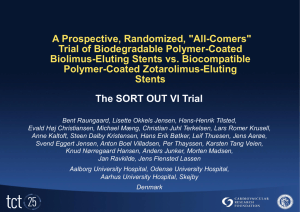 Stent thrombosis was defined according to the Academic Research Consortium (ARC). • Angiograms of all patients were reviewed for stent deformation (LSD). longitudinal axis following successful initial deployment. and none of the Resolute Integrity group (9/905 vs. 0/906; p=0.002). 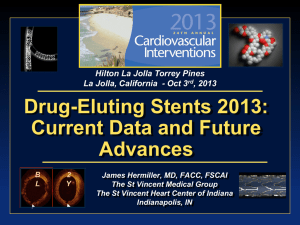 (1%) and in 0.6/100 Promus Element stents implanted (0.6%). but was not associated with any adverse events. deployment. Cases 2 and 4 are female patients. Lesion types were assigned according to ACC/AHA lesion classification. LAD=left anterior descending artery. LSD=longitudinal stent deformation. Pr.=Promus. RCA=right coronary artery. of patients treated for acute myocardial infarction. similar to that of the Promus Element stent. Analyses based on intention-to-treat. 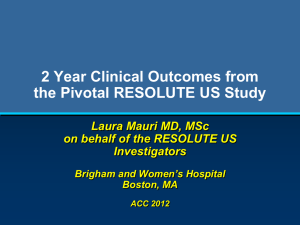 1-Year follow-up available in 99.9% of patients. 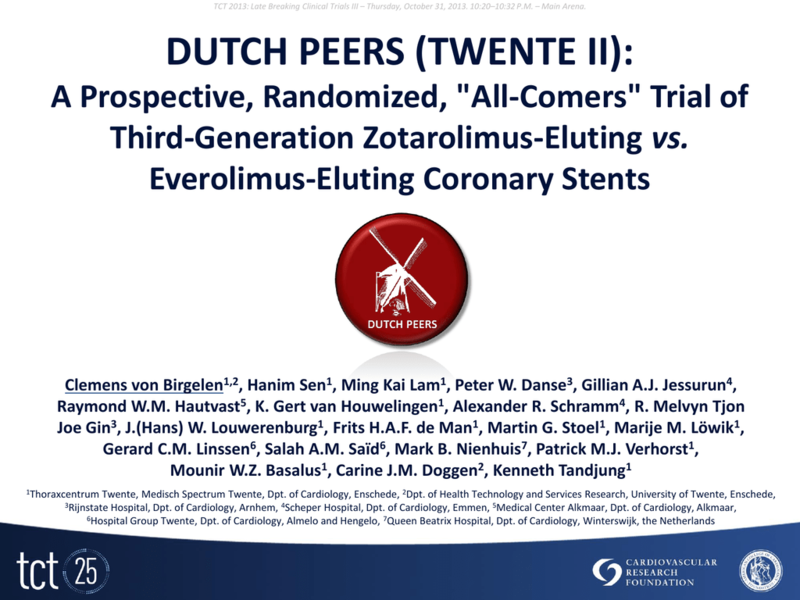 stents in all-comer patients requiring a PCI (DUTCH PEERS). Lancet – in press. Mod. 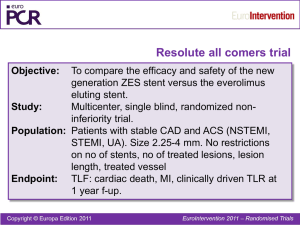 from: C. von Birgelen, presented at EuroPCR 2010 in Paris, France. LSD in the distal stent resulted from recrossing the distal stent with a balloon catheter.